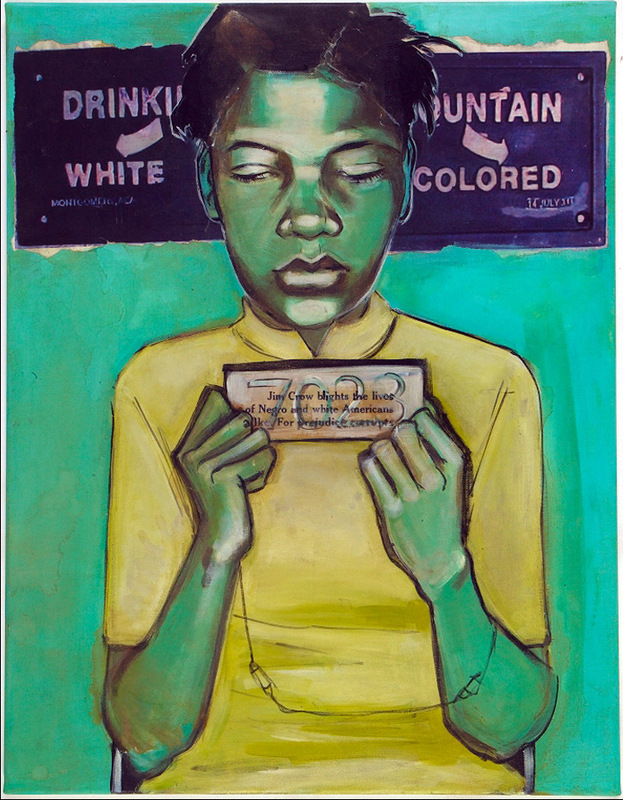 2009 22" x 28" Materials: Acrylic, iron oxide, oil and collage on canvas. 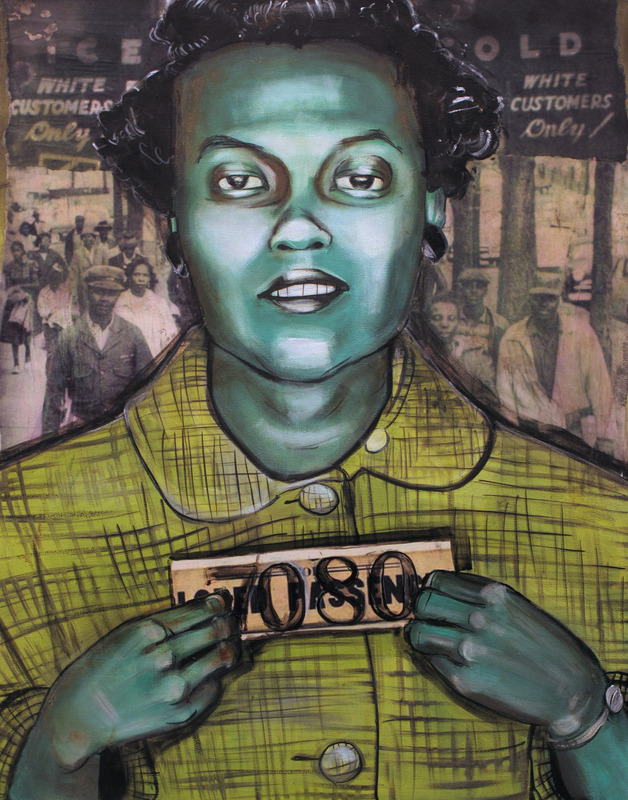 Mug shot of Ida Mae Caldwell taken after her arrest on February 21, 1956, for her role in the Montgomery Bus Boycott. Caldwell's arrest number is 7067. 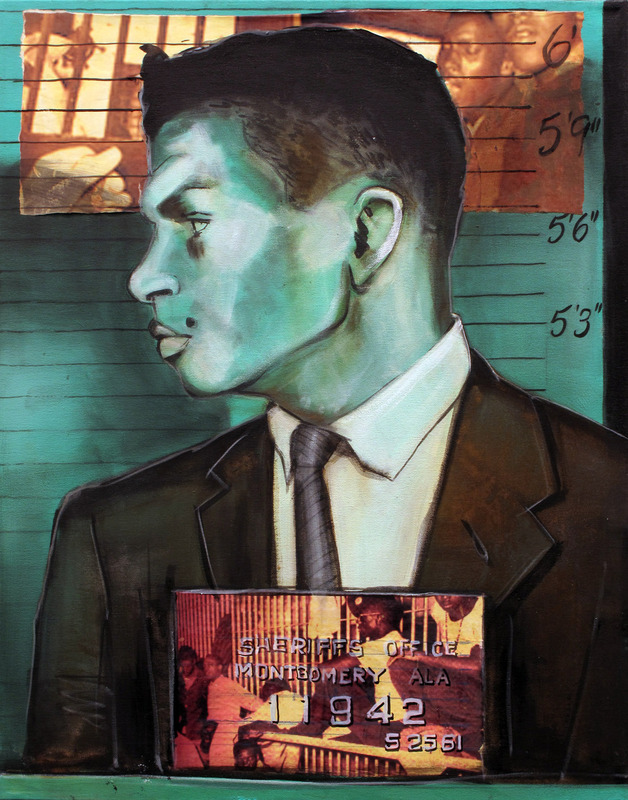 009 22" x 28" Materials: Acrylic, iron oxide, oil, edding, collage for Bus Boycotters series (pix of the 1956 mugshots, arrest records, handwritten sermons, MLK handwriting, JFK handwriting, front page of a bible, segregation signs, protest letters, popular song lyrics of the time, Little Richard Screen Shots from 1955 or 1956, people walking to work, screenshots of an aggressive white man, interior of an empty bus) onto canvas. 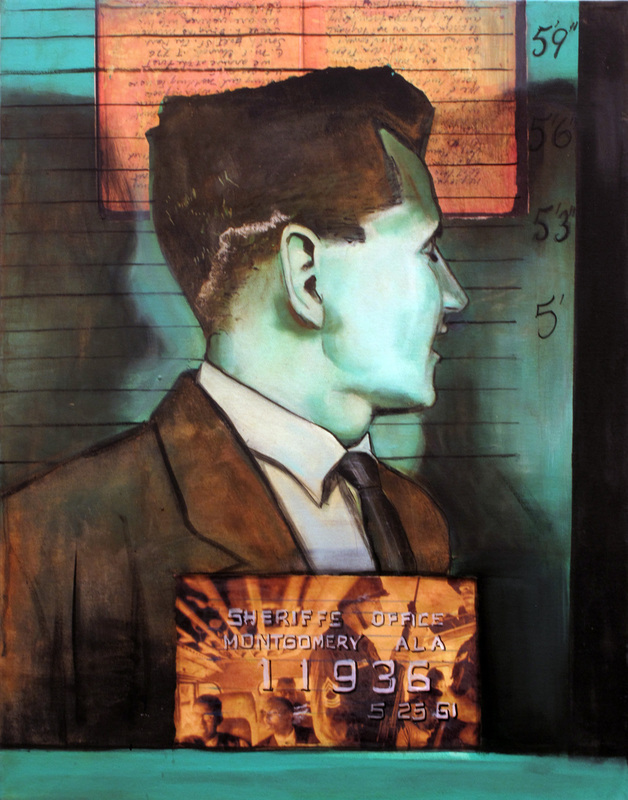 2009 22" x 28" Materials: Oil, acrylic, iron oxide and collage of pictures of mugshots onto canvas. 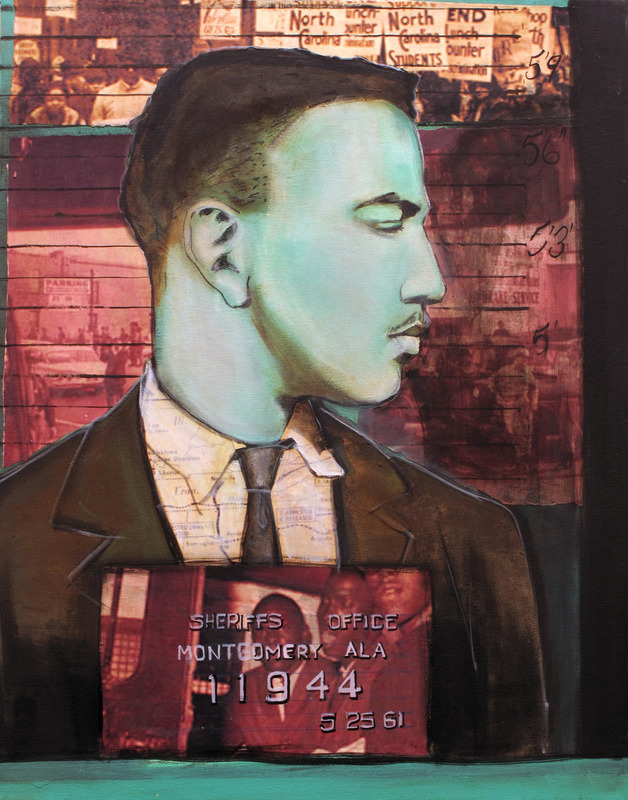 The Montgomery Bus Boycott, a seminal event in the U.S. civil rights movement, was a political and social protest campaign against the policy of racial segregation on the public transit system of Montgomery, Alabama. 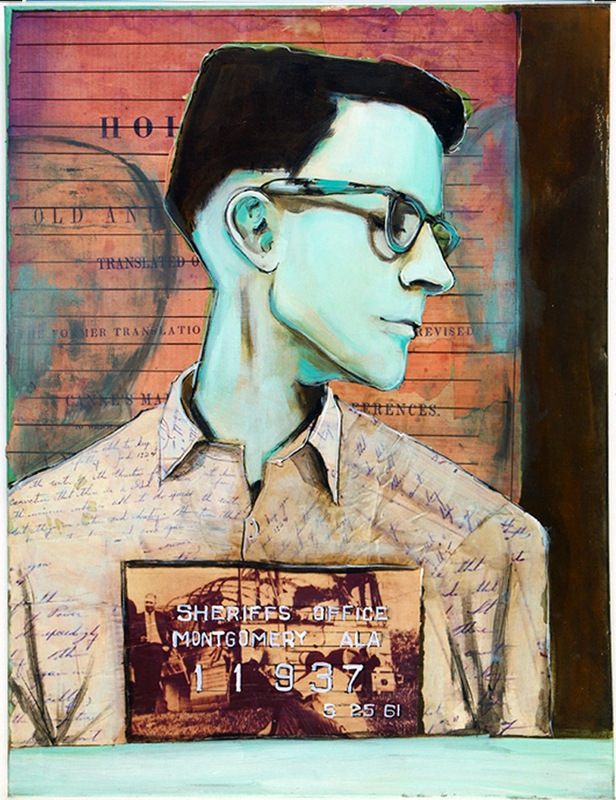 009 22" x 28" Materials: Oil, acrylic, iron oxide and collage of pictures of mugshots onto canvas. 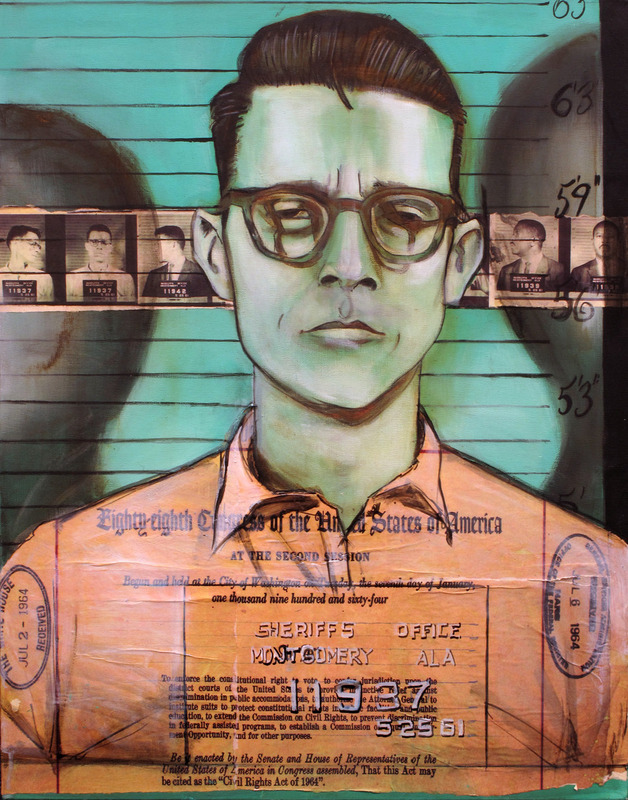 Mug shot of Simon Peter McBride taken after his arrest on February 21, 1956 for his role in the Montgomery Bus Boycott. McBride's arrest number is 7060. 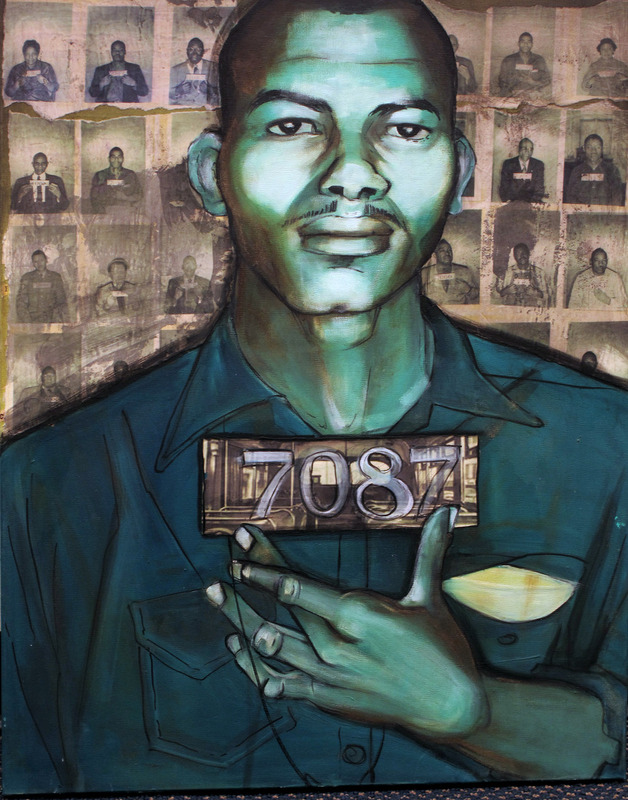 The Montgomery Bus Boycott, a seminal event in the U.S. civil rights movement, was a political and social protest campaign against the policy of racial segregation on the public transit system of Montgomery, Alabama. 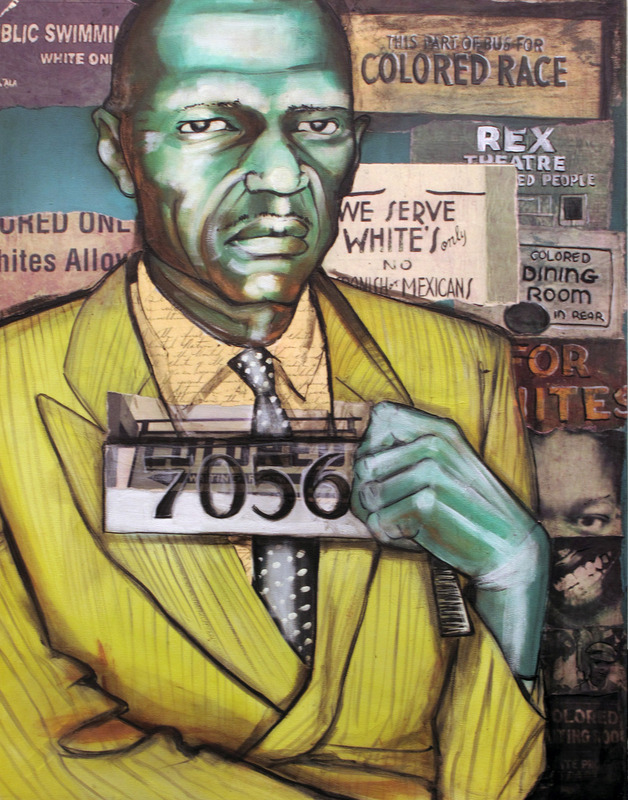 2009 22" x 28" Materials: Oil, acrylic, iron oxide and collage on canvas. 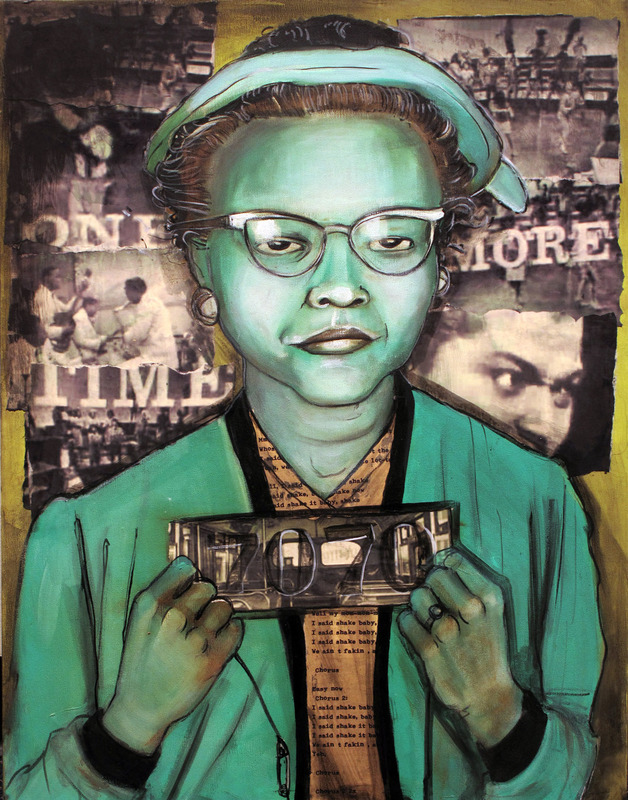 Parks (née Rosa Louise McCauley) was an African American civil rights activist whose refusal to relinquish her seat on a public bus to a white man precipitated the 1955-56 Montgomery bus boycott in Alabama. In 1957 Parks moved with her husband and mother to Detroit, where from 1965 to 1988 she was a member of the staff of Michigan Congressman John Conyers, Jr. She remained active in the NAACP, and the Southern Christian Leadership Conference established the annual Rosa Parks Freedom Award in her honor (Encyclopedia Britannica). 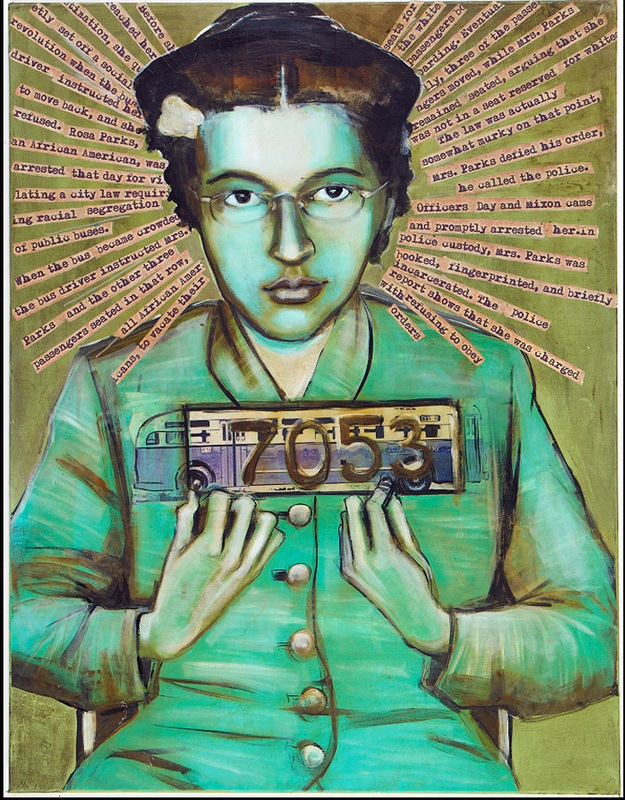 On December 1, 1955, Rosa Parks was arrested for refusing to give up her seat. 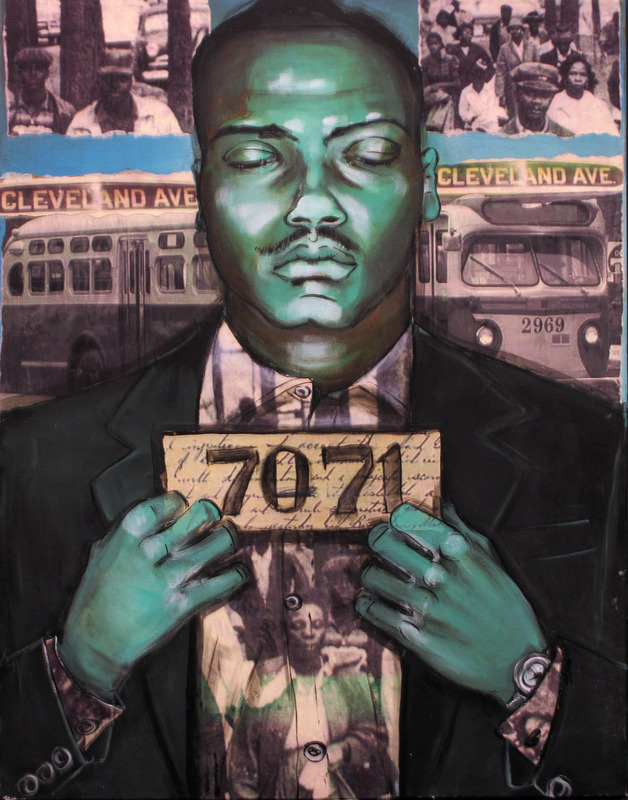 The Montgomery Bus Boycott, urged and planned by Nixon and led by King, soon followed. The boycott lasted for 385 days, and the situation became so tense that King's house was bombed. 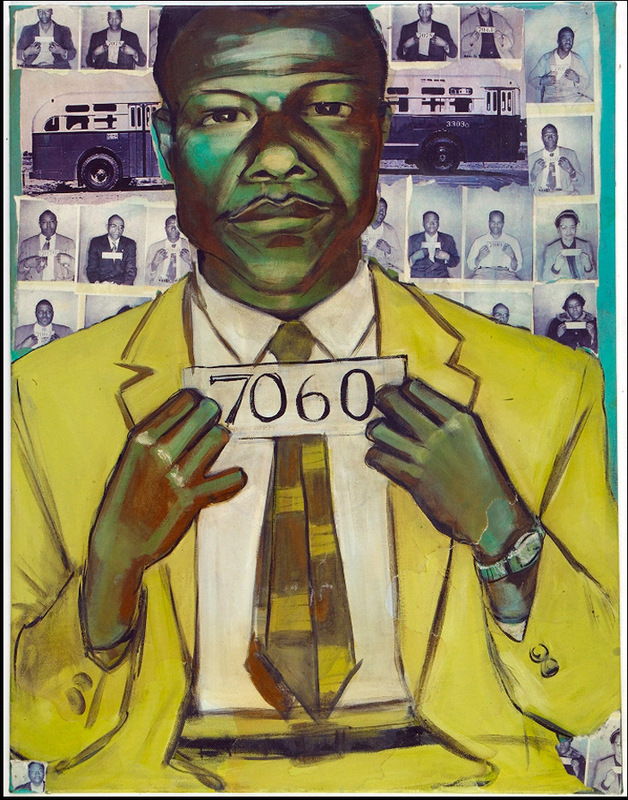 King was arrested during this campaign, which concluded with a United States District Court ruling in Browder v. Gayle that ended racial segregation on all Montgomery public buses. 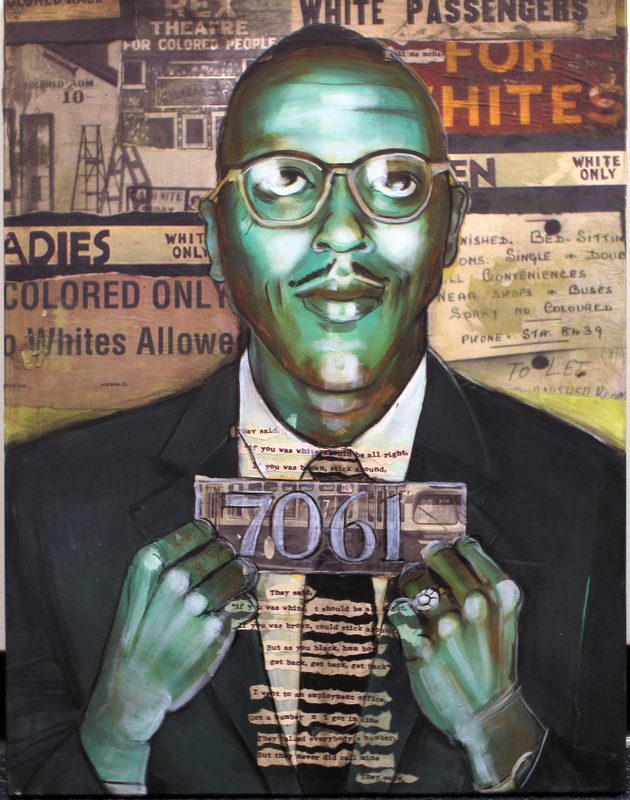 Fred Lee Shuttlesworth was a founder of the Southern Christian Leadership Conference and one of the principal organizers of the anti-segregation demonstrations in Birmingham, Alabama in the spring of 1963. From 1957 to 1960, Shuttlesworth was the pastor of several Baptist churches including First Baptist Church in Birmingham. 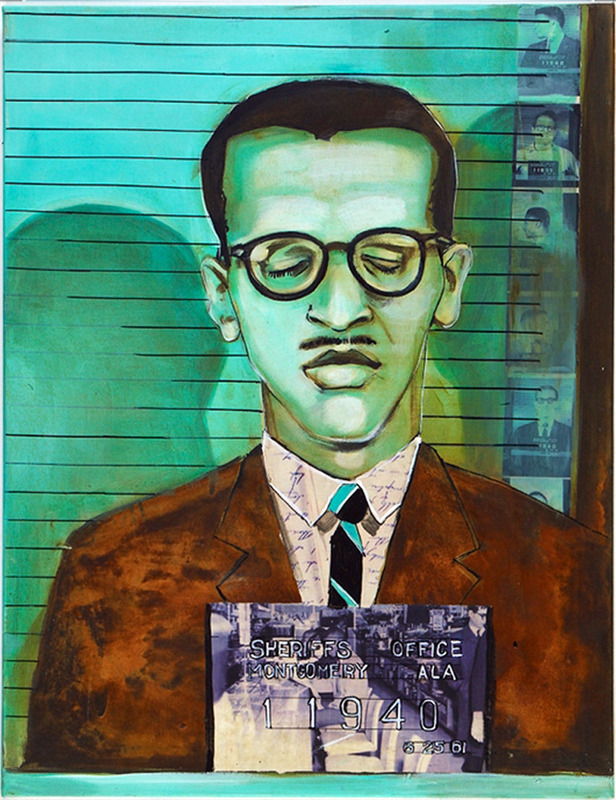 He also served as SCLC's secretary from 1958 to 1970. 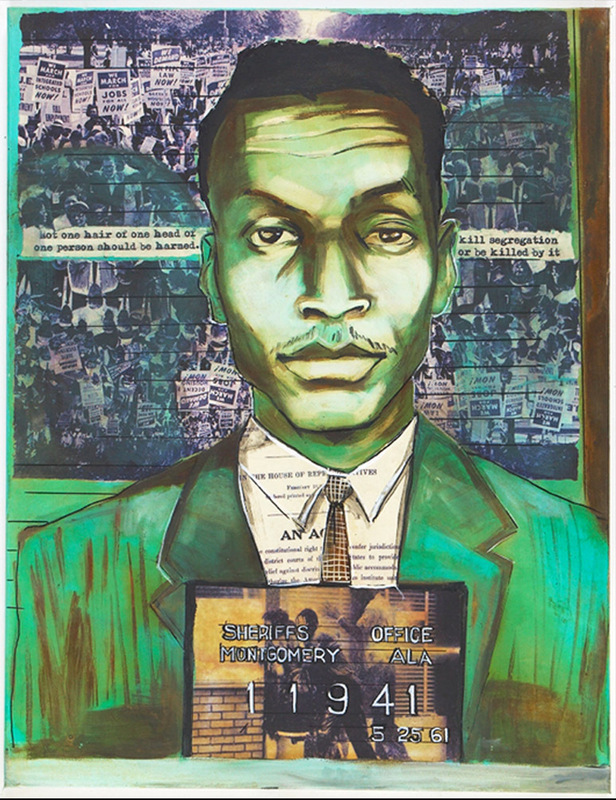 In March 1965, Shuttlesworth helped organize the historic march from Selma to Montgomery. The march was organized to protest voting discrimination in Alabama. 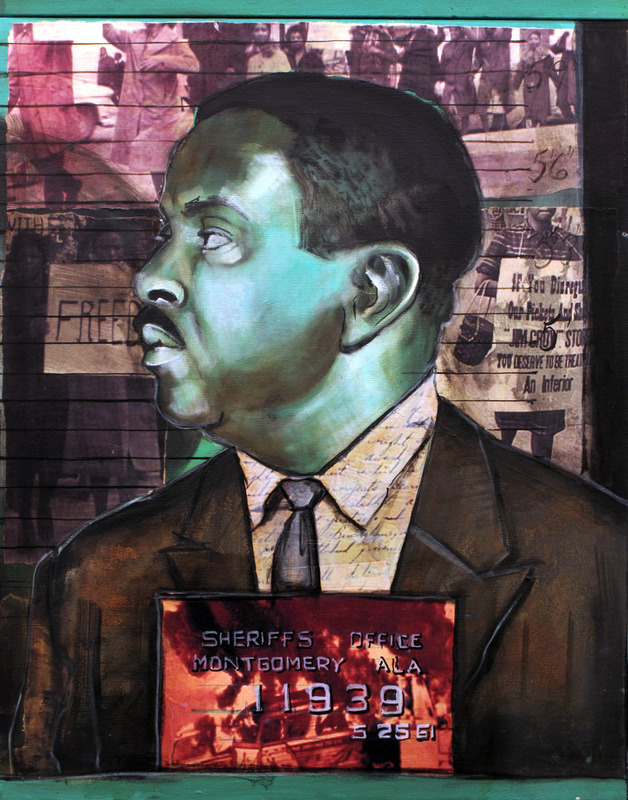 During anti-segregation demonstrations, Shuttlesworth had many run-ins with Eugene "Bull" Connor, the Birmingham commissioner of safety who used tactics such as fire hoses and dogs to stop protesters (Encyclopedia Britannica). 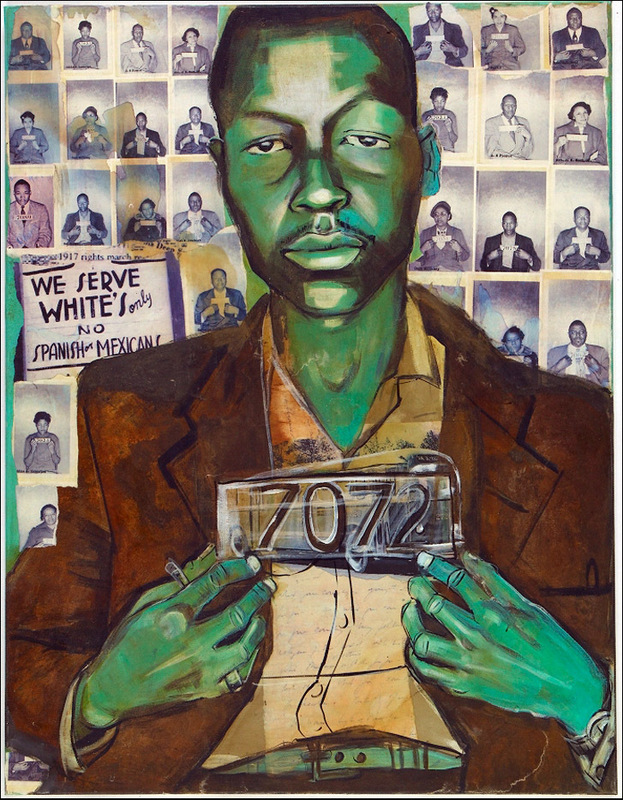 One of a group of seven interracial Freedom Riders who left Atlanta, Georgia on May 24, 1961, and were arrested in Montgomery, Alabama, the next day when they tried to integrate the lunch counter. At the time Smith was a student at Yale University Law school. He later passed the New York bar and practiced law in New York before becoming a state judge. 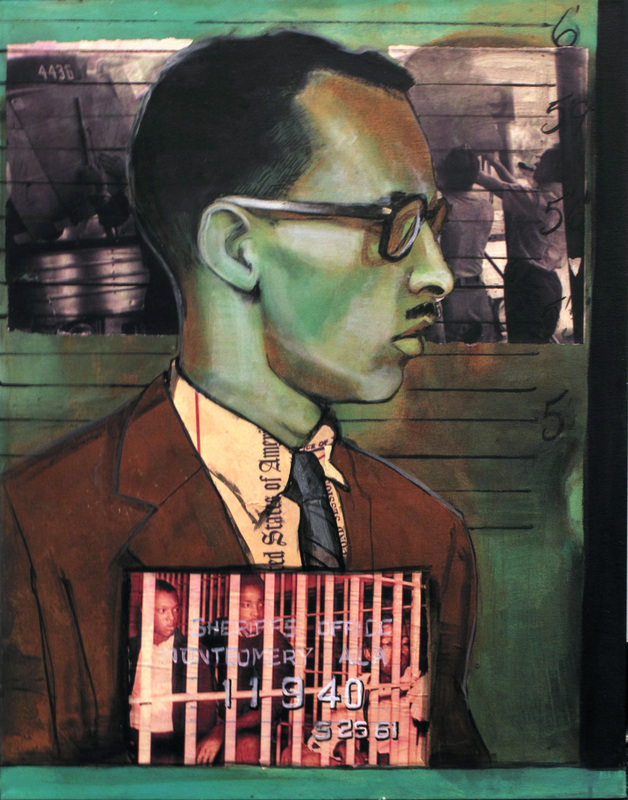 Wyatt Tee Walker (born 1929) is a United States black civil rights leader. 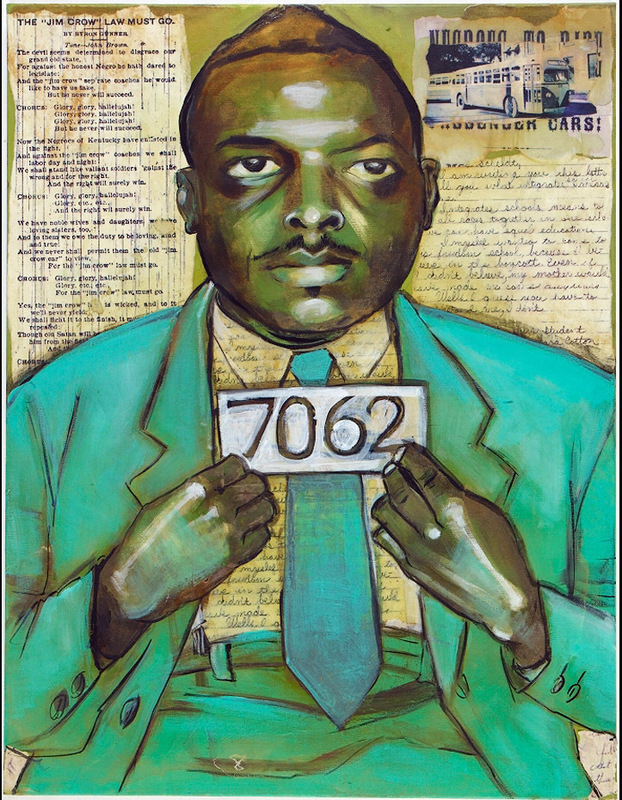 He helped found the Southern Christian Leadership Conference (SCLC) in 1957. 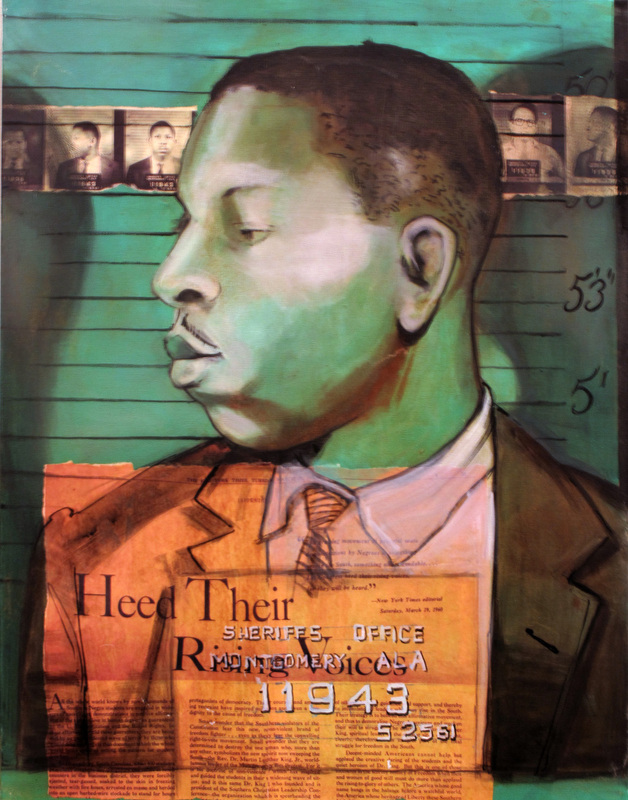 He was the third executive director of the Southern Christian Leadership Conference from 1960 and 1964 after John L. Tilley (1957-1959) and Ella Baker (1958-1960). He is now pastor emeritus of Canaan Baptist Church of Christ in Harlem, New York. 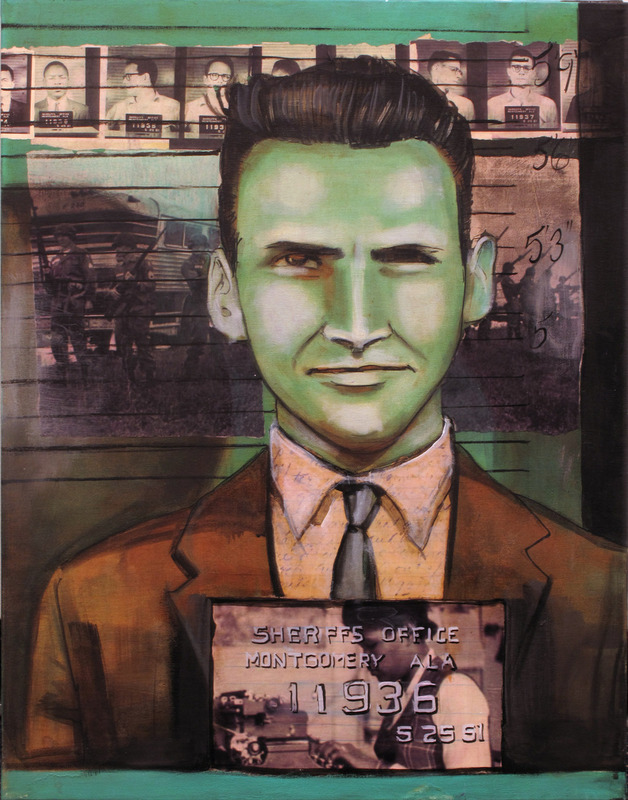 2010 48" x 72" Materials: Oil, acrylic, iron oxide and collage of pictures of mugshots onto canvas. 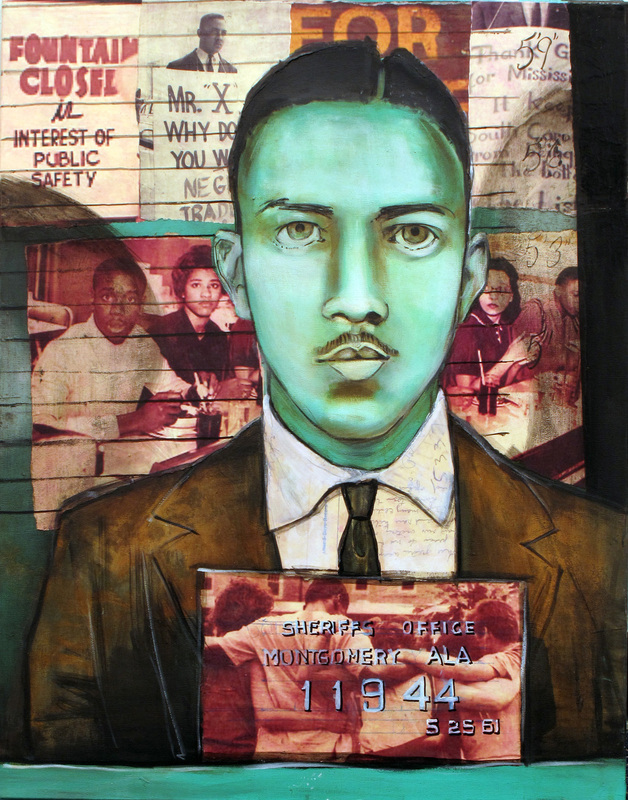 Abernathy was Martin Luther King Jr.'s chief partner in the civil rights movement. 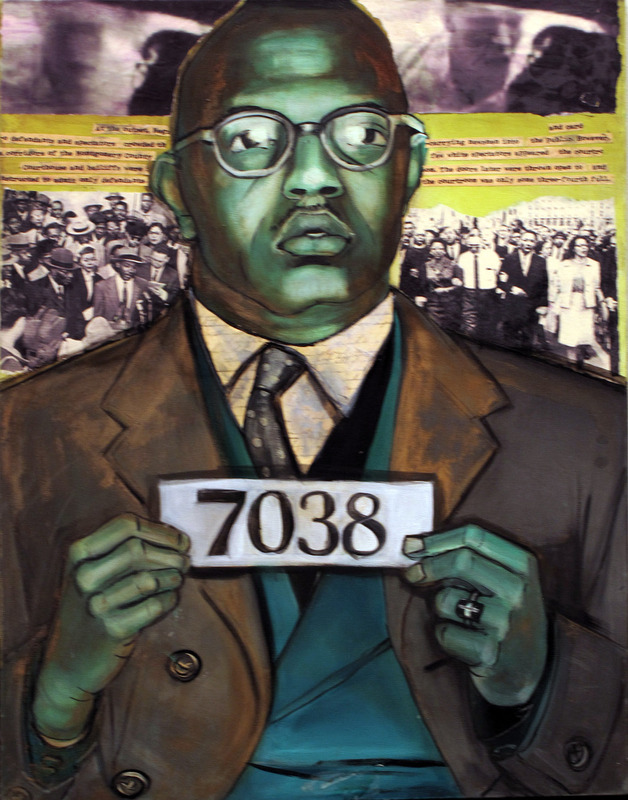 He helped to organize the Montgomery bus boycott and the Southern Christian Leadership Conference (SCLC). 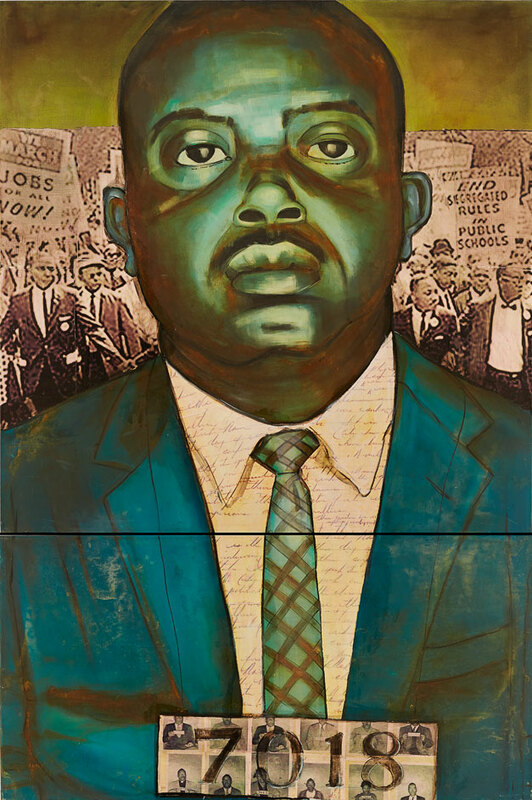 After King was assassinated in 1968, Abernathy succeeded him as SCLC president and continued the practice of nonviolent resistance as a means of achieving equality for America's blacks. 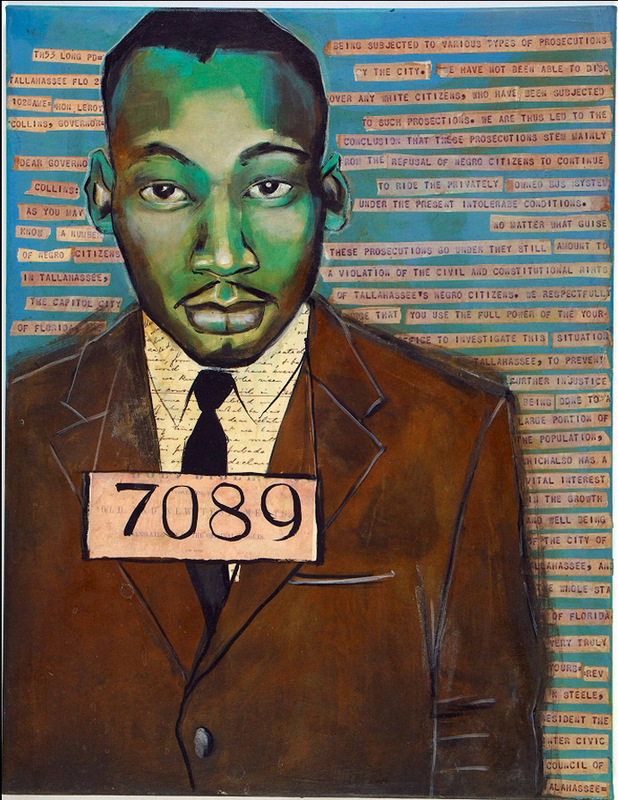 He also led the Poor People's Campaign March on Washington, D.C., with daily demonstrations in May and June 1968, just a month after King's assassination (New Georgia Encyclopedia). 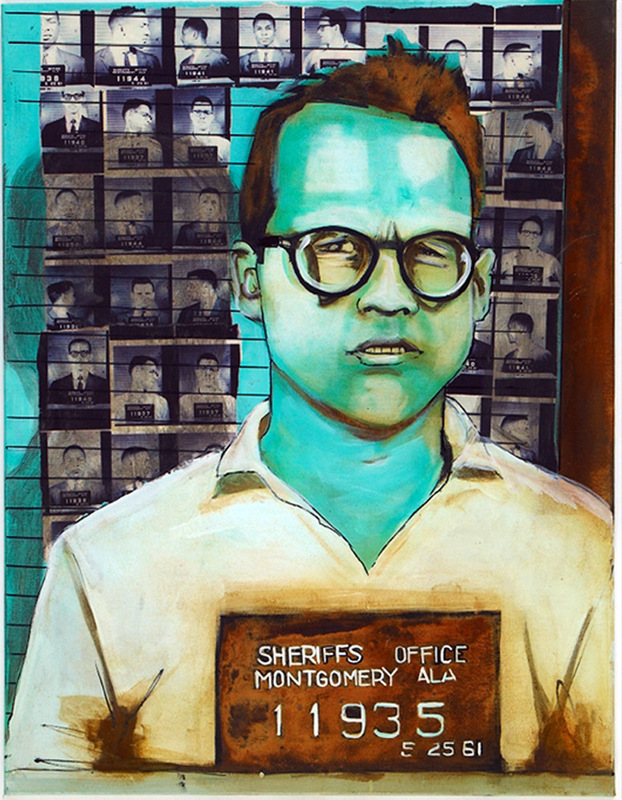 2010 22" x 28" Materials: Oil, acrylic, iron oxide and collage of pictures of mugshots onto canvas. 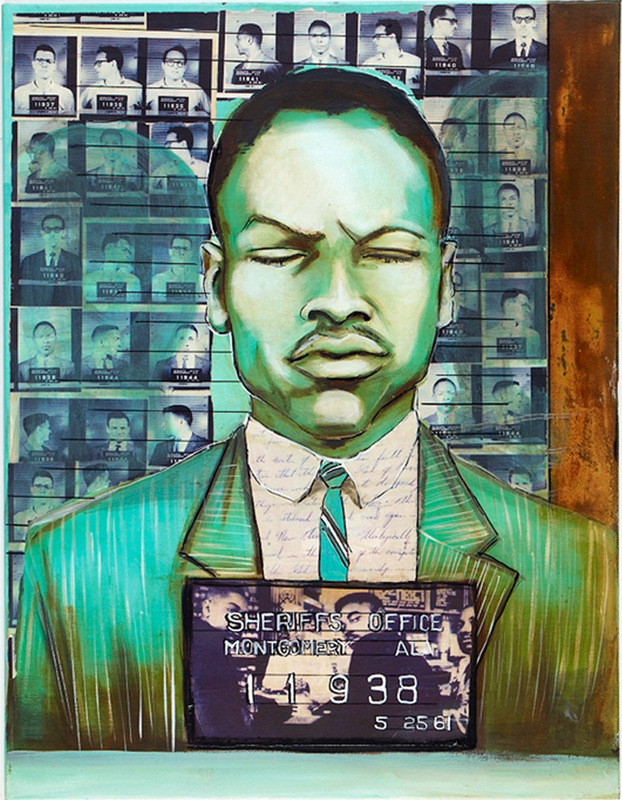 2010 22" x 28" Materials: Acrylic, iron oxide, oil and collage for Bus Boycotters series (pictures of the 1956 mugshots, arrest records, handwritten sermons, MLK handwriting, JFK handwriting, front page of a bible, segregation signs, protest letters, popular song lyrics of the time, Little Richard Screen Shots from 1955 or 1956, people walking to work, screenshots of an aggressive white man, interior of an empty bus) onto canvas. 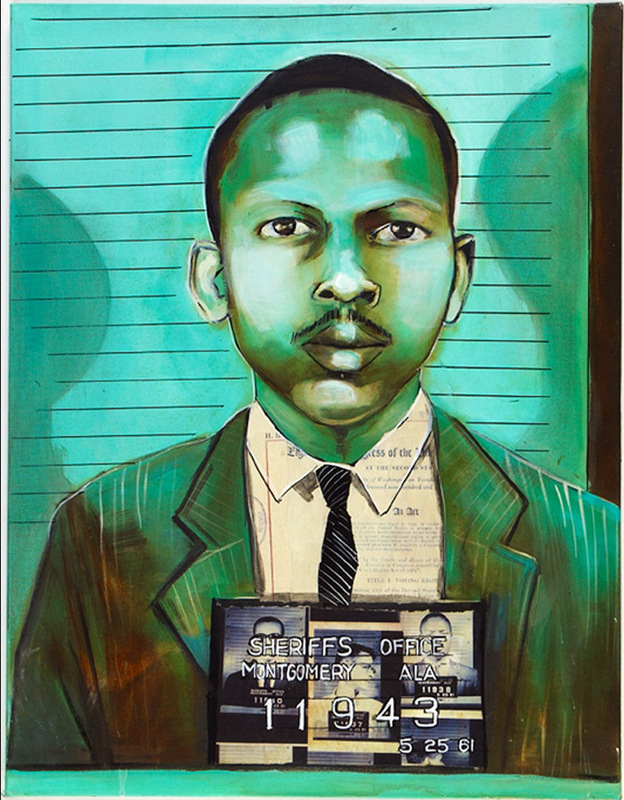 Noyce was among the seven freedom riders who left Atlanta May 24, 1961 and traveled to Montgomery, Alabama and then were arrested the next day for trying to integrate the bus station lunch counter. 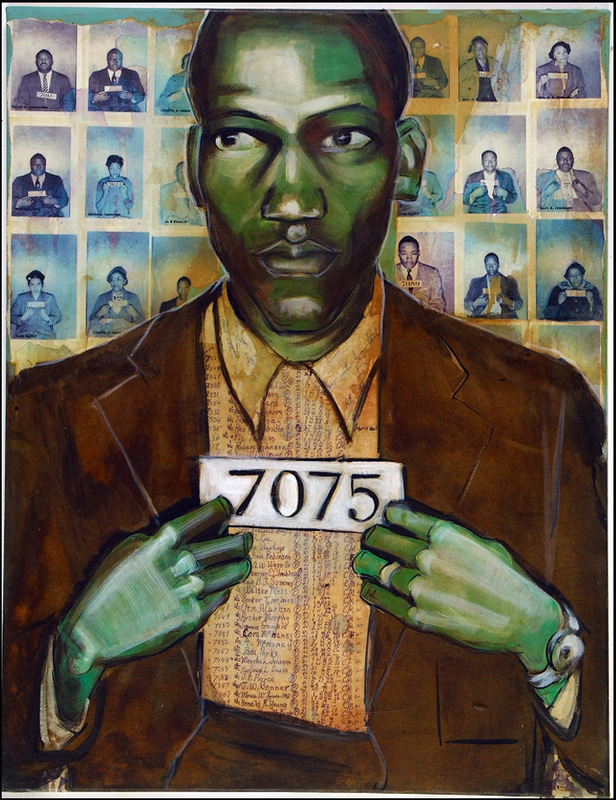 David Everett Swift was forty-seven in 1961 when he was arrested with a group who tried to integrate the lunch counters in Montgomery, Alabama, during the Freedom Rides that summer. 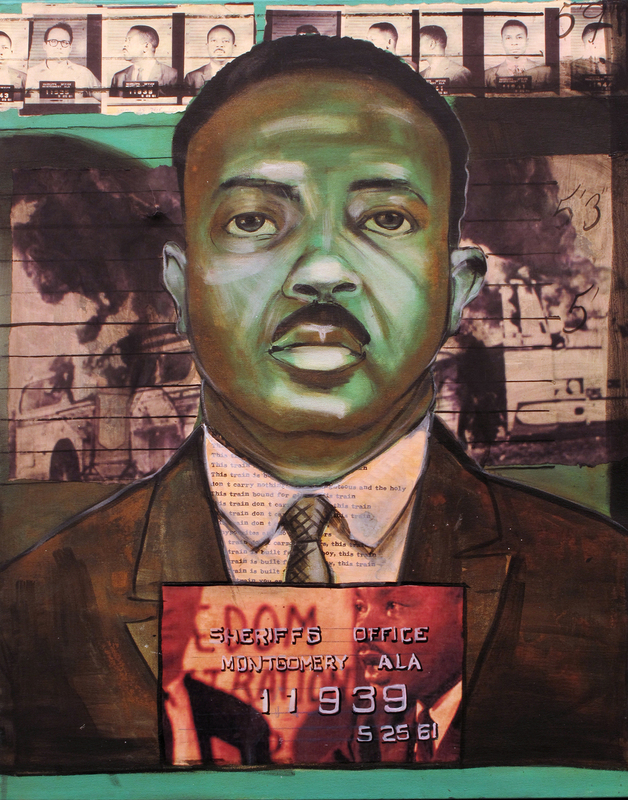 He had ridden from Atlanta, Georgia to Montgomery, Alabama as part of a May 24 to 25, 1961 Freedom Ride. At the time, Swift taught religion at Wesleyan University.